American Kevin Kisner claimed his first WGC title with victory over compatriot Matt Kuchar in the Match Play final. The 35-year-old world number 50, who beat Francesco Molinari in the semi-finals, atoned for last year's 7&6 defeat in the final by Bubba Watson. Kuchar beat Lucas Bjerregaard earlier in the day but only had two birdies in the final as Kisner ground out a 3&2 win for his third PGA Tour title. Molinari beat Tiger Woods' conqueror Bjerregaard 4&2 to claim third place. Kuchar was one down after 10 when his tee shot at the par-three 11th came up well short and plummeted into the water. The world number 24 then failed to get up and down from the right of the 15th to slip three behind. From 250 yards at the par-five 16th he found the green with his second but left his eagle putt short and Kisner holed from 20 feet for a birdie to close out the match. 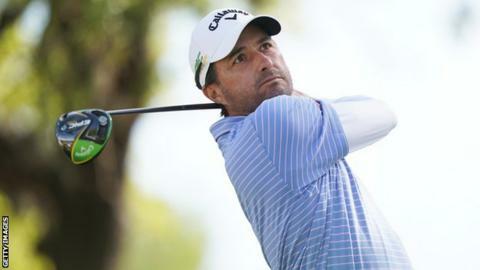 Kisner had ended the 10-game winning match play run of Open champion Molinari in their semi-final encounter. He was two up after 15 holes and, although the Italian won the next two with birdies, he bogeyed the last. Danish debutant and world number 52 Bjerregaard, who beat Woods in the quarter-finals on Saturday, made only two birdies against Kuchar but was never more than a hole behind, with the American making a birdie at the 16th and finishing one up.